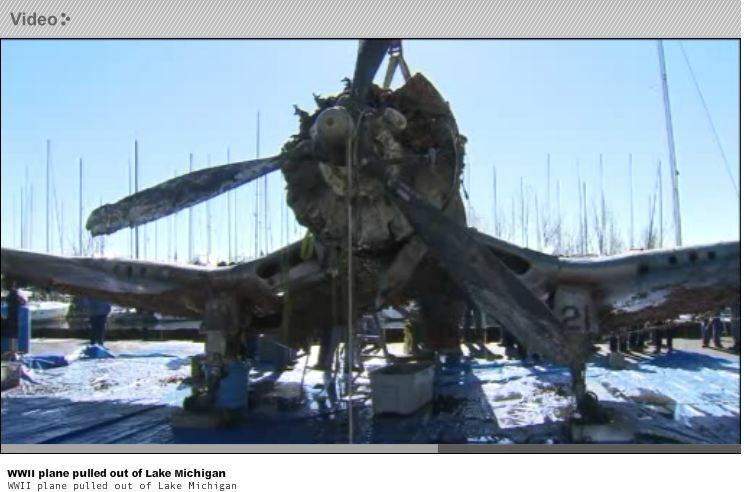 An F4U, lost in a training accident in Lake Michigan in World War 2, has been pulled from over two hundred feet of water and is remarkably intact after 70 years in the water. Lake Michigan was used for training pilots to land on aircraft carriers and accidents were common. There are still around 80 aircraft on the bottom of the lake.